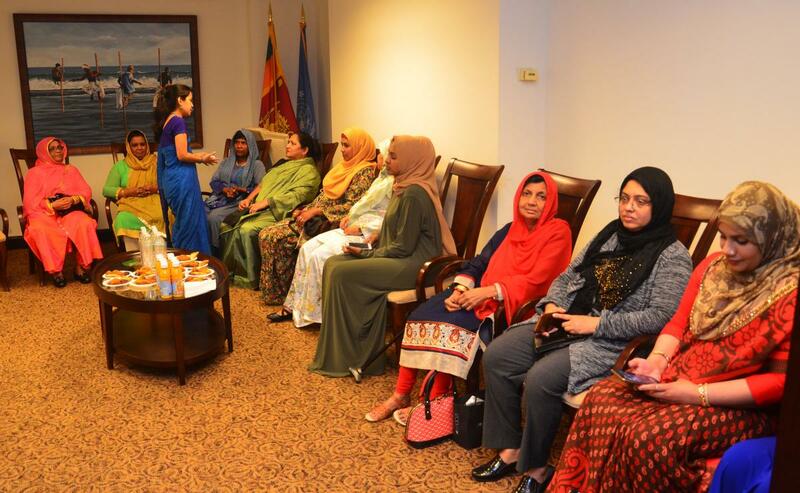 The programme of the event included a welcome address by Dr. A. Rohan Perera, Ambassador and Permanent Representative of Sri Lanka to the United Nations, a religious speech, Maghreb prayer and breaking of fast with Sri Lankan cuisine. Mr. A.S. Khan, Deputy Permanent Representative, in his introductory remarks, mentioned that Sri Lanka Missions abroad arrange various cultural events for the Sri Lankan expatriate community members including annual Ifthar programmes which brings together the Mission staff and members of the Sri Lankan expatriate Muslim community. In his welcome remarks, Ambassador Dr. Rohan Perera noted that in Sri Lanka, there is a very vibrant Muslim community, which has been actively contributing to every aspect of the nation including development and reconciliation. He also noted that despite challenges, the Muslim community has been maintaining admirable harmony with people of other faiths and communities. He underlined the need for all communities to join hands to work together. Moulavi Sheik K.M. Ahamed Yaseer delivered an Islamic sermon in Sinhala in which he reiterated the importance of mutual respect for each other’s religion. Comparing similarities between teachings of Buddhism and Islam, he called on the community members to lead to a peaceful life within multicultural societies. A young member of the Sri Lankan Muslim community, Master Hassan M Arshad recited Quirat and announced Adhan, while Moulavi Sheik Ahamed Yaseer led Maghreb prayers. 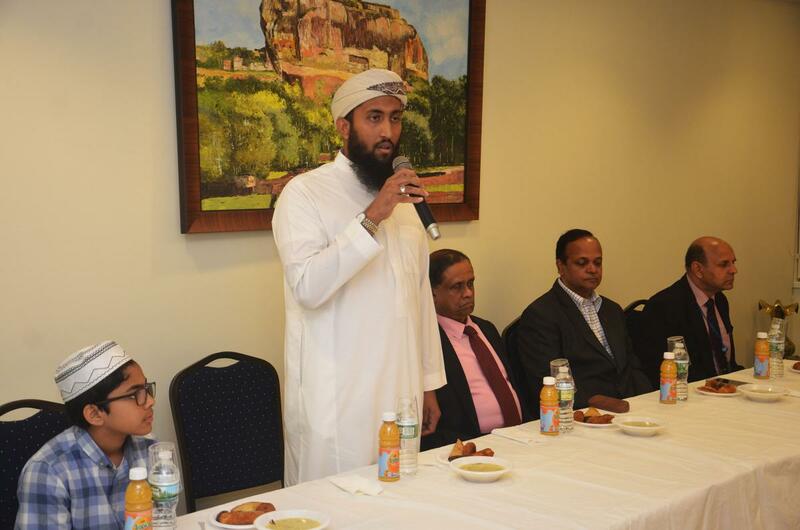 Mr. Arafa Yousuf, President of TASMINA, an umbrella organization of Islamic Associations in North America, on behalf of the Sri Lankan Muslim expatriate community thanked the Mission for arranging the Ifthar programme. All guests were treated to a Sri Lankan traditional reception and buffet dinner.